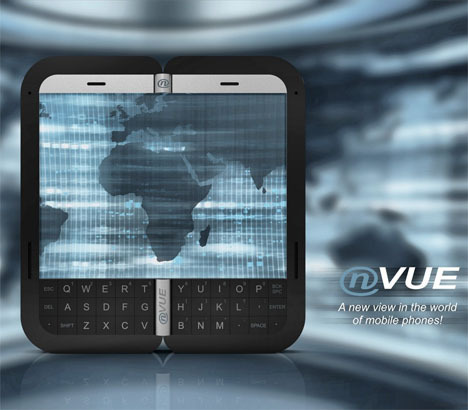 nVue is a foldable mobile phone with 2 AMOLED displays. 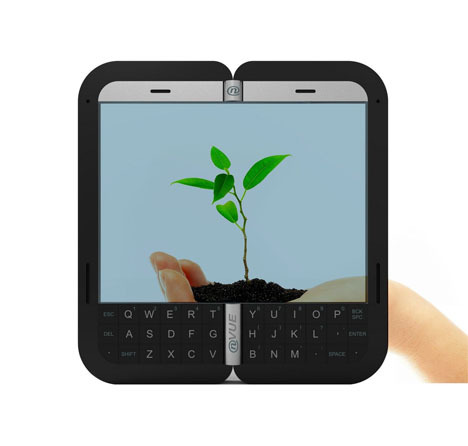 Each of the screens can run independently or work together as a single widescreen display. 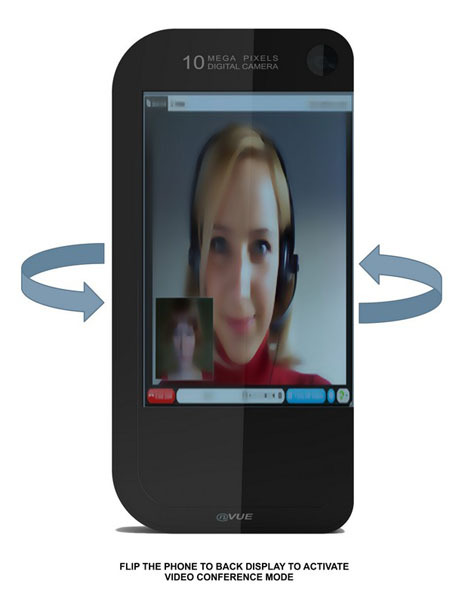 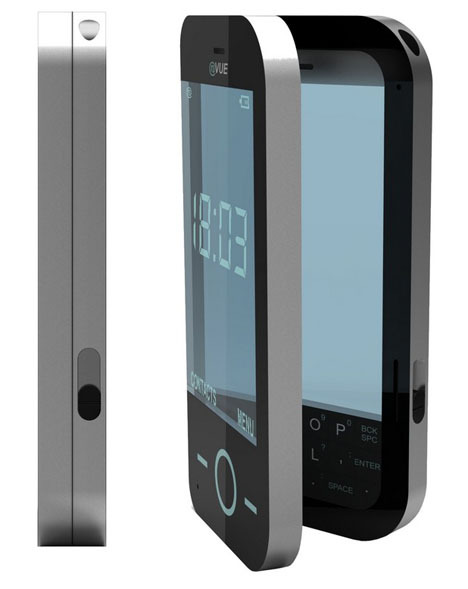 This mobile phone concept goal is to provide an efficient way for multitasking. 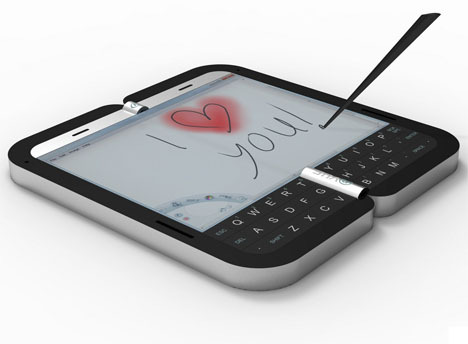 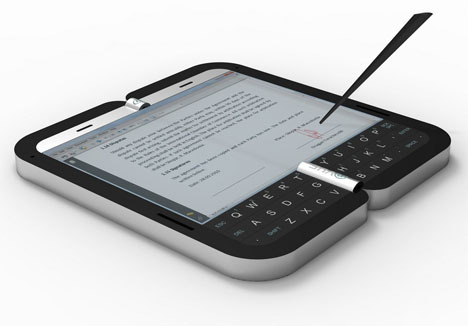 It offers a new design possibility related to mobile phone’s size and functionality. 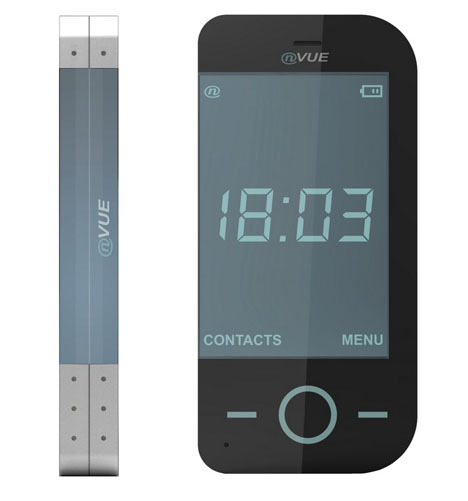 Not only as your mobile phone, nVue can also act as your tablet PC, multimedia player, e-reader, and much more in one cool portable gadget.